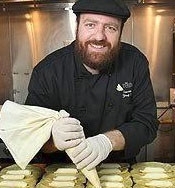 Leading the kosher industry in culinary innovation Chef Yos is always pushing the boundaries of the kosher culinary world by creating unusually creative dishes. Chef Yos' creative culinary genius and expertise has earned him invitations around the world to be personal caterer for celebrities and corporate leaders. In addition to bringing his own creations to this event, Chef YOS is coordinating the menus and dishes with all participating chefs to create a bar-b-que and whiskey experience never experienced before in the Delaware Valley.